“How long will it take to get to me? When ordering online, I’m willing to bet (and I’m not a betting man), that at least one of these questions crossed your mind. If not all of them. And rightly so… right? They’re all valid questions. So, let’s jump in and tackle those questions and more so you’re well versed and know all there is to know about shipping and how it affects your business. 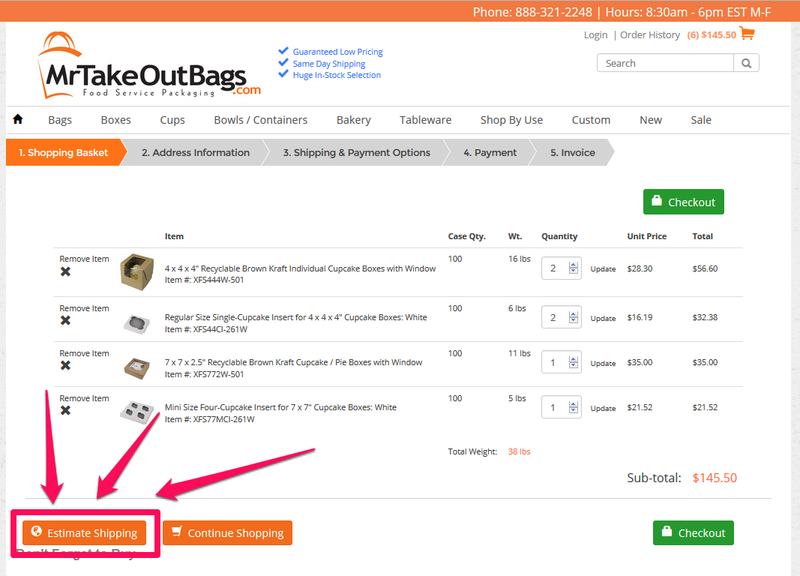 We get asked this question quite often, so we’ve built in a quick and easy way to calculate your shipping costs on MrTakeOutBags.com. And you can do this without going all the way through the entire “checkout” process of including your address and billing information. Obviously, first you’ll need to add all your desired items to your cart. Whatever it is you’re interested in getting. 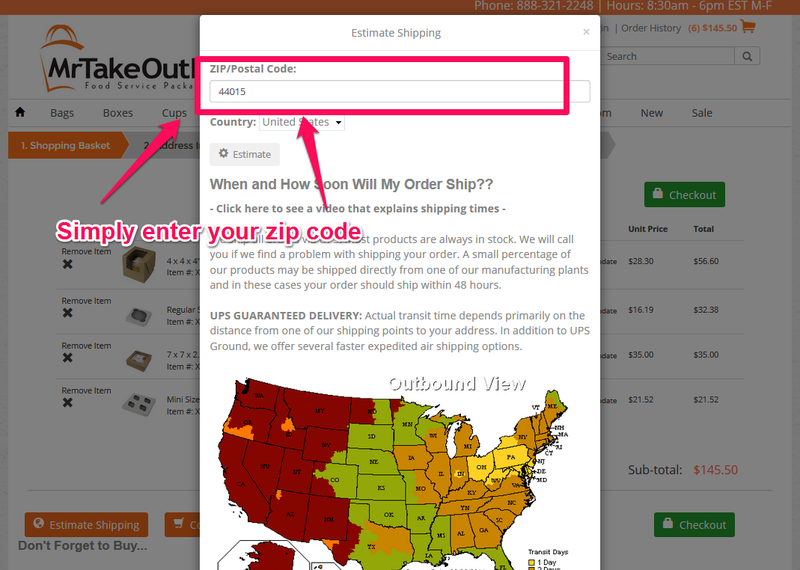 Once you’ve done that, you just need to click the green “Checkout” button on the top right of the page. 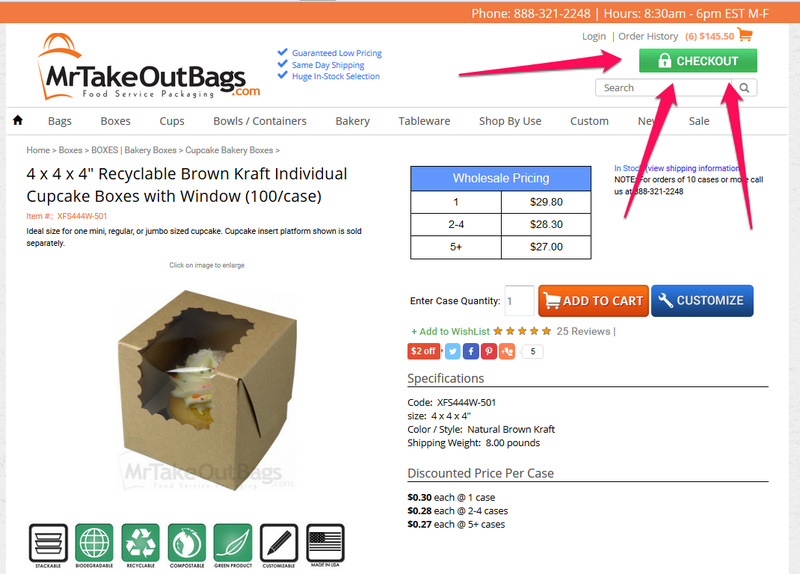 From there, you’ll be taken to a page that displays all the information about the quantities, prices, and items in your cart. 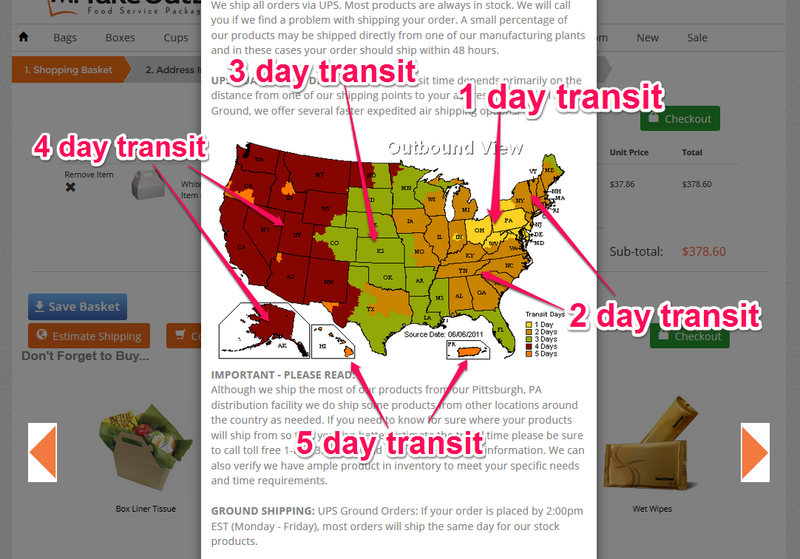 As well, you’ll see in lower left portion of the screen an “Estimate Shipping” button. Click that guy. And whoollahhh, there’s all your options for shipping and their respective costs. So, while we do have other facilities around the country, the majority of orders will ship from our main Pittsburgh, PA location. And that said, as long as you place your order before 2:00 PM EST, most orders will ship out that very same day. So, back to your question of when it’s going to arrive. That will depend on where you live in the United Sates. For most of our clients, it’s going to fall between 1 and 4 days. For our friends in Hawaii, Puerto Rico, and a few really rural patches in the US, it’s 5 days. If you live in Kansas and place your order on Tuesday at 1:30 PM EST, we’ll get your order out that same day. Now, as you see from our trusty map, Kansas is 3 day transit. And because you don’t count that initial order day into the equation, you would begin counting Wednesday as Day 1, Thursday as Day 2, and Friday as Day 3. So, your order will arrive on Friday. Just in time for the weekend. And with other companies out there “claiming” to offer free shipping, it’s certainly a valid question. To plainly answer that question… No, we don’t offer free shipping. But, in response I’d ask, who “truly” offers free shipping? I mean, is there ever really a free lunch? Look, you’re a savvy businessperson, so you’ve probably realized that the other companies claiming to offer free shipping, have merely moved that cost and added it into the cost of the product. It’s merely an accounting trick. 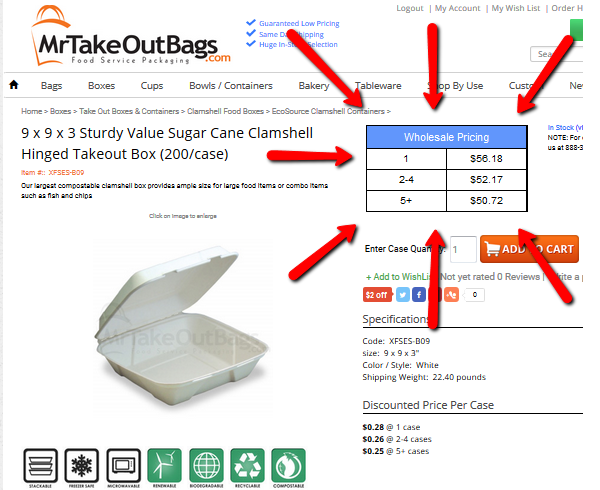 At MrTakeOutBags.com we try to be more transparent and open. So what we do is offer very competitive pricing on our products, oftentimes the lowest in the industry, along with a shipping component. From there we will help you to find the best cost and method to ship to you. If you do a little comparison shopping, you’ll notice that the prices of our product plus shipping COMBINED are LESS THAN other companies that offer free shipping. 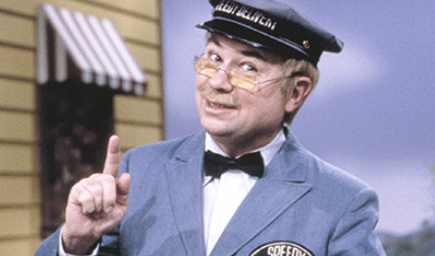 First things first, if you’re able, ship to a commercial address, as opposed to a residential address. Commercial addresses are defined as having a public entrance along with posted hours of operation. 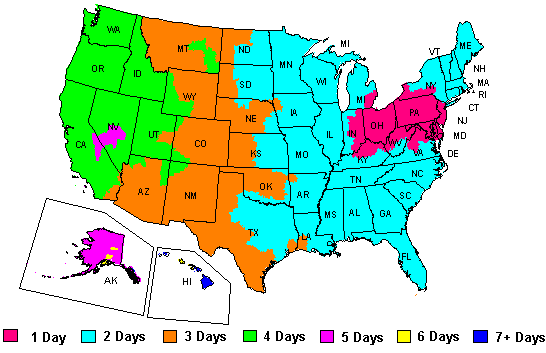 Depending on the size of the order and where you’re at in the US, you can save between 10 – 20% by shipping to a business location over a residence. 2. Order larger quantities of the same item. On the right hand side of every product page, you’ll notice a price break at 2-4 cases and a greater price break at 5+ cases. So, if you’re using a product anyways, why not go ahead and save by getting more of it? I get it. I realize the UPS driver is drop dead gorgeous. But the more times he’s making deliveries, the more your shipping costs will be. So, go ahead, order more cases, have your UPS driver put those muscles to good use, and save money. It’s a win-win. Enough about your UPS driver… let’s move on. 3. Order an overall larger “basket of goods” and receive Weight Discounts. 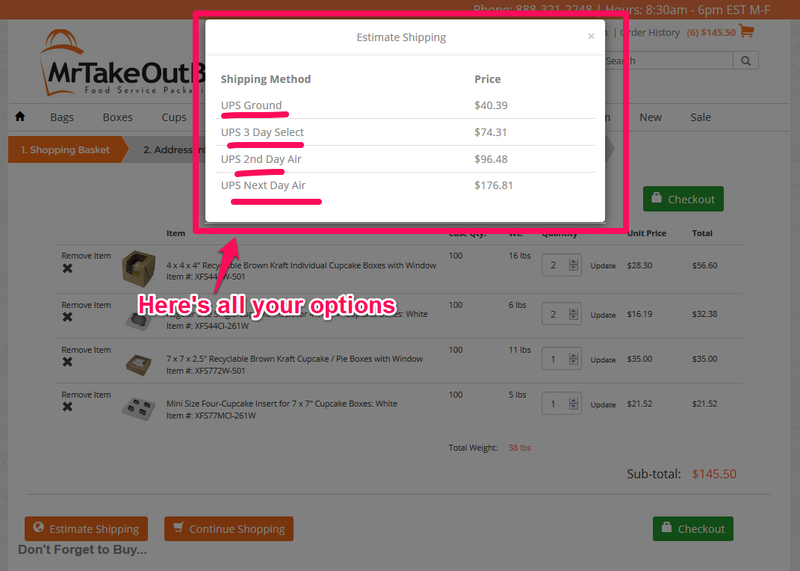 Why juggle 5 different suppliers and deal with ordering one item here, one item there. Because here’s the thing… once your order gets above 250 lbs, we get a discount from UPS that we’re more than happy to pass right along to you. And even further up the scale, once we approach or exceed 500 lbs, it begins to make sense to send your order “freight” via carrier shipping. And because, we’re then shipping 1 large package (a pallet) rather than 27 individual packages, we’re able to drastically slash your shipping costs even further. However, because it is a pallet, it does need to be unloaded either from a dock or taken off the back of a truck. You see, there are other options available to consider that we can advise you about, such as a “lift gate service” that brings the product down from the truck to the ground and optional delivery appointments that some customers require. When your order gets to either of these levels, it’s best to call us and we can ensure you get the absolute lowest shipping charges possible. But when you do have a minute, take a look around our site, or give us a call at 888-321-2248. We can possibly help you locate other items you need or are using now. So, here’s the long and the short of it… while we do have international clients, we do not ship directly to international locations. What I mean by this is that we only ship internationally through what’s known as a Freight Forwarder. So, we’ll ship our client’s order of packaging items to their freight forwarder located here in the US, such as Miami, New York, etc. And the freight forwarder will then consolidate that order along with many other people’s orders into a freight container that’s bound for that same international destination. So, while this might have been quite a bit of info to digest, hopefully you’ve found it helpful. However, if still have further questions, please let us know. We’re happy to help. Cheers to a happy and speedy delivery.